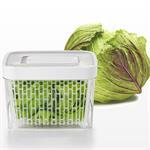 The 4" clear plastic airtight Vegetable Keeper lets you see at a glance what is inside and keeps cut produce fresh. 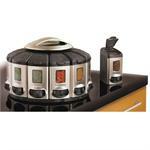 It has a raised grid base to catch moisture and the plastic traps in odors. 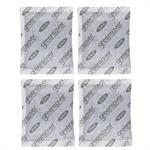 They also work great for any storage or for packing a snack. 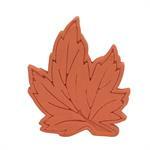 Made of acacia wood, the Ironwood Gourmet Recipe Box holds 4" x 6" recipe cards. 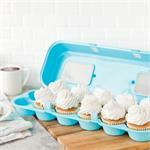 It features a centre divider inside and a recipe card slot on the top which keeps your recipe cards easy to find, readable, and free from food splatters. 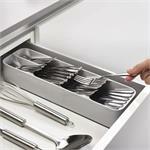 Store your cutlery in a space half the size of a conventional organizers. 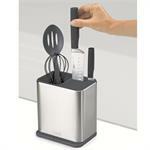 Each slot is deep enough that cutlery can be inserted with either handle or head first. 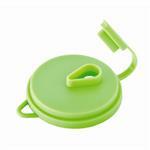 space for tea & soup spoons, forks and knives, freeing up more room in your drawer. 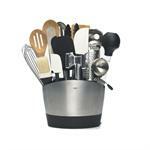 No matter how many pots you have on the go this Multi-Utensil Rest will hold all your stirring spoons, ladles, whisks, etc. 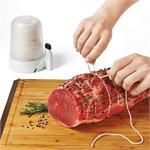 so you can keep your stove top tidy. There is even a place to set your drippy lids & splatter screens. 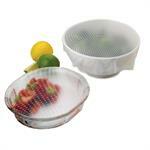 Change your Carbon Inserts in your GreenSaver Produce Keepers every three months to keep your produce fresh. 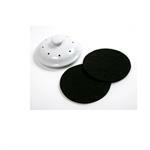 Made from coconut husks, the filters absorb ethylene gas to prolong the life of your fruits and vegetables. 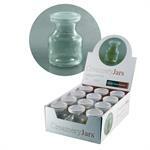 Package of 4 refills, 1 year supply. 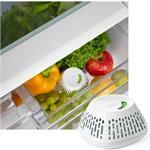 Keep your produce fresher for longer by adding a GreenSaver Crisper Drawer insert into the produce drawer. Replace the carbon filter every 3 months to absorb the ethylene gas produced by ripening produce and helps prevent premature spoilage. 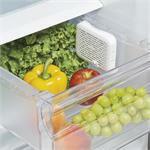 Keep your produce fresher for longer by attaching the Green Saver Crisper Drawer suction box onto the produce drawer of your fridge. 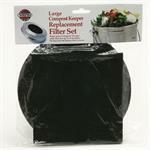 The all-natural carbon filter absorbs the ethylene gas produced by ripening produce and helps prevent premature spoilage. 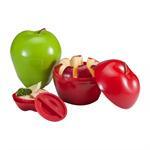 Waste less and save money with the Green Saver Long Produce Keeper. With its activated carbon filter to absorb ethylene gas and innovative design, this produce keeper will keep your produce fresh for longer. 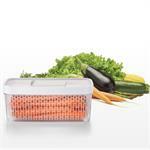 Long design holds carrots, cucumbers and more. 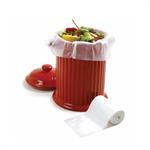 Waste less and save money with the GreenSaver Produce Keeper. 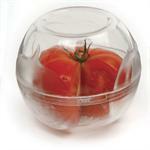 With its activated carbon filter to absorb ethylene gas and innovative design this produce keeper will keep your produce fresh. 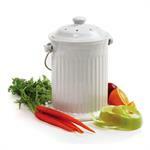 Generous 4Qt capacity with removable colander. 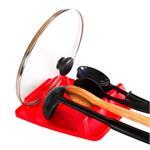 The right tool when and where you need it - no need to rummage in a drawer. This is a large capacity tool holder with a space-saving elliptical shape that will easily hold up to 16 large handled tools. Bottom tray unsnaps for easy cleaning. 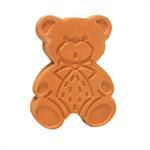 The Original Brown Sugar Bear keeps your brown sugar soft and lump free. 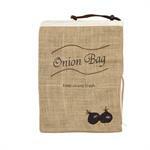 Keeps your baking ingredients such as coconut and raisins soft and a bag of licorice from going hard. When dry it will absorb excess moisture in your salt, spices, crackers & more. 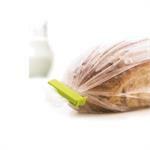 No need to look for a twist tie or fight with a bread clip when you have bag clips on hand. 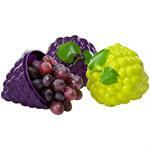 These are freezer and dishwasher safe and unlike metal twist ties, you can also use in the microwave.